is currently building an icebreaking Supply and Research Vessel (ASRV) for Australia which will primarily operate in Antarctica. We supplied a total of 11 ea. digital OCEAN SONICS Hydrophones model icListen. The main equipment is installed in a drop keel to listen and record live whale songs and other marine mammals. Further hydrophones icListen are placed in the hull to record sounds emitted by the ship itself for reference. The floats will be deployed in the Mediterranean Sea and the Atlantic Ocean. is receiving a total of 9 autonomous, moored, particulate samplers from McLANE RESEARCH LABORATORIES i.e. Whereas models PPS filter up to 24 individual water samples in-situ, models RAS collect up to 48 water samples for subsequent laboratory analysis. introduced an innovative so-called Imaging FlowCytobot (IFCB), and two of the first units are going to Germany: One will be operated by the IGB Berlin (Leibniz Institute of Freshwater Ecology and Inland Fisheries), the second will be installed in a Ferry Box of the company 4 H-JENA engineering GmbH. The IFCB uses a combination of flow cytometric and video technology in-situ to capture high resolution images of suspended particles which have been made visible by laser-induced fluorescence. The collected data can be transmitted to shore in real-time and processed automatically with image classification software. In 1980, we brought the very first multibeam sonar system to Germany and initiated a technical revolution. Large area, precise contour maps of the ocean bottom could be generated in short time and formed the basis for well-aimed work from now on. 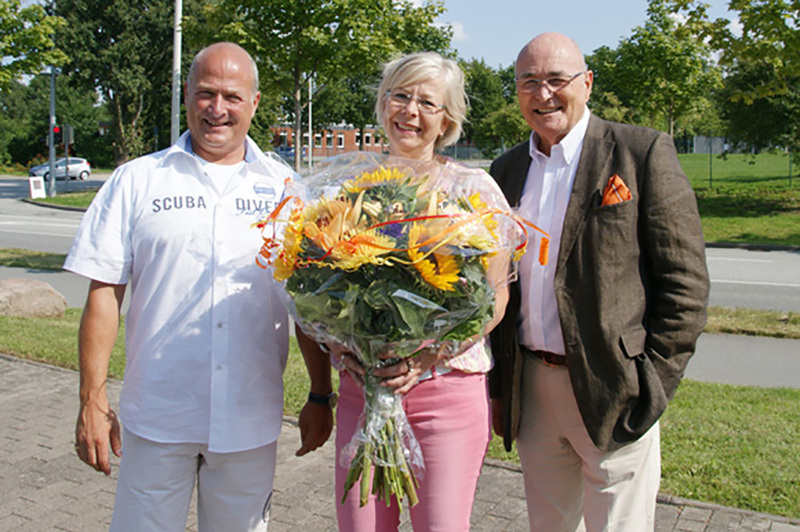 The Kieler Nachrichten reported about this sensational event, and SEA BEAM became a generic term with marine scientists. The manufacturer remarks: Creating digital hydrophone arrays is now simple. Connect two or more icListen Smart Hydrophones together and they self-synchronize, operating as one. Whether using the internal hydrophone memory, or logging multi-channel data externally, you record multichannel array data. The Ocean Sonics approach offers a wide range of geometries, including vertical, horizontal, very small geometrical arrays, or spread out over many kilometers. Pro-Oceanus Systems Inc. provides world-class technology in our line of advanced dissolved gas sensors. Measurements of dissolved gases in natural waters provide critical information for monitoring biological production, understanding the dynamics of greenhouse gases, surveying the distribution of pollutants, and determining the health of sensitive ecosystems. 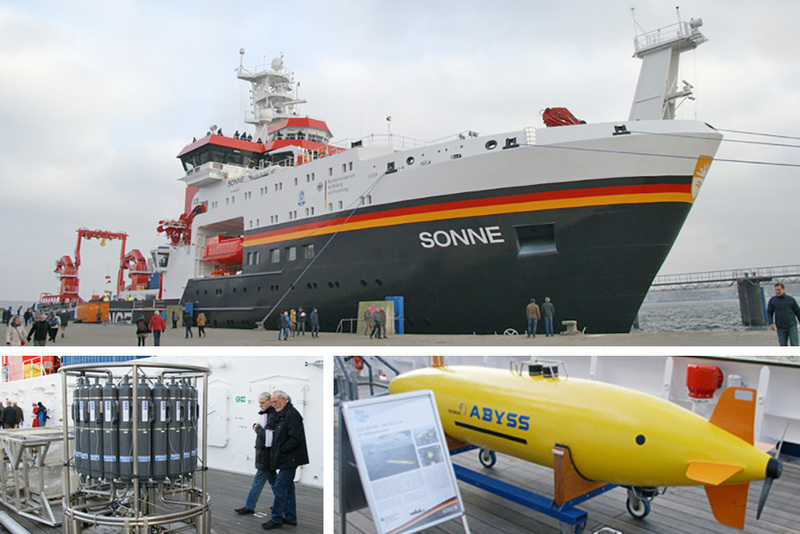 In the framework of project MOSES we supplied a Model SV3 Waveglider to the GEOMAR Helmholtz Centre for Ocean Research Kiel in April 2017. The acronym MOSES stands for Modular Observing System for the Earth System and will focus primarily on small scale yet integrating measurements of the system earth. In this context GEOMAR is planning an activity bringing together moorings, bottom landers, ocean bottom seismometers, gliders, wavegliders, and a small swarm of AUVs. The “Wave Gliders” are manufactured by LIQUID ROBOTICS, INC., Sunnyvale, California, USA, now a member of the Boeing group of companies. The Institute for Chemistry and Biology of the Marine Environment (ICBM), Wilhelmshaven, has recently ordered an „Inherent Optical Properties Package“, IOP for short, with a variety of sensors from our principals the Seabird Scientific (WET LABs, Inc.) USA. Among others the IOP is equipped with a Spectrophotometer (AC-S), a 3-channel Fluorometer (Triplet), a Backscattering Sensor with 9 different wavelengths (BB9), and an SBE49 CTD. In a joint project with OMAN, the GEOMAR Institute took delivery of the latest model Wave Glider in November 2016. Powered by nature, the Wave Glider® is the only proven unmanned surface robot for real-time ocean data collection and communications over long durations and in varying sea states. Sitting at the surface, the Wave Glider is the essential sea floor to space link creating a network to help solve some of the world’s greatest challenges. The longest distance travelled has been 9,380 nautical miles so far. Especially in developing countries where research vessels are rarely available the Wave Glider opens the way to international participation. The youngest German research vessel will primarily operate in the deep sea regions of the Atlantic, the Pacific, and the Indian Ocean. Consequently, she received a.o. two Acoustic Doppler Current Profilers (ADCPs) of the Teledyne RD Instruments OCEAN SURVEYOR series capable of collecting detailed maps of the distribution of water currents along the ship´s path to 1,000m or 700m depth. The phased-array transducers of 38 and 75kHz are installed in the ship´s hull. A “SeaCAT” Thermosalinograph SBE 21 is also working below the waterline. It accurately determines sea surface temperature and conductivity from underway vessels. Data is simultaneously stored in memory and transmitted to a computer serial port, allowing independent data logging and real-time data acquisition. Also on board is a Carousel Water Sampler including a profiling SBE 911 plus CTD with optional sensors of Sea-Bird Electronics. This unit is operated by a deep sea winch and controlled from a deck unit with real-time data display. The vessel can specifically handle heavy equipment like deep-sea AUVs and ROVs. 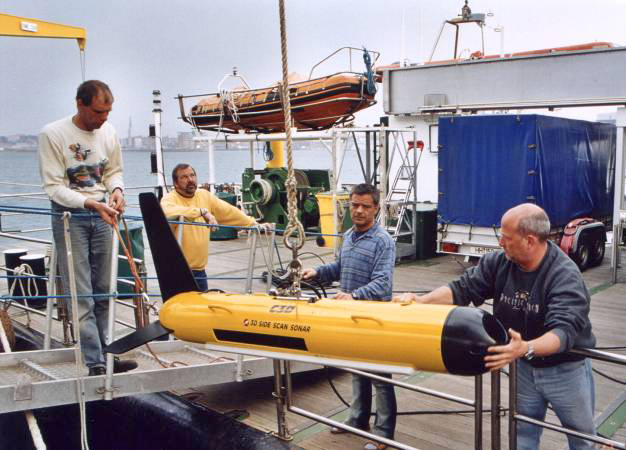 As one example, the autonomous underwater vehicle REMUS 6000 of Hydroid is pictured which was named “ABYSS” by the GEOMAR institute. 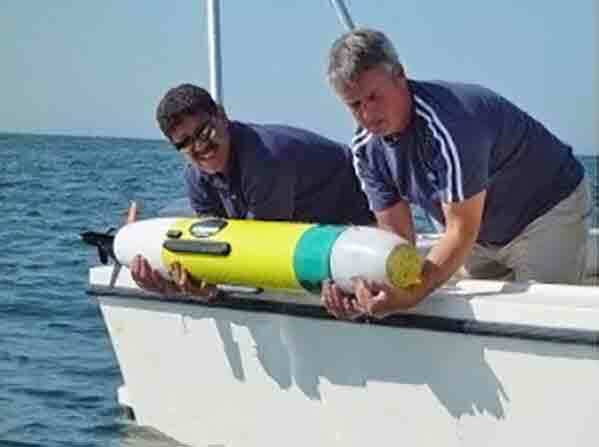 This, by the way, is the AUV which found the wreck of the AIR FRANCE plane in almost 4,000 m water depth off the coast of Brazil two years after it was lost in 2009. Our photographs were taken during the “Open Ship” of the SONNE at the Ostseekai of Kiel Harbour in November 2014. When we had moved to our new address Wellseedamm 3, it took some time to get used to the new facilities. But now, on 23 August 2013, we celebrated the formal opening of our new office building with customers, suppliers, and many friends. We counted 139 happy guests who were exchanging pleasant memories while enjoying some good music, food, and drink. With growing interest in the health of the oceans, and in using the oceans to produce energy, the need to understand and measure human effects on the ocean is rising. Measuring ocean sounds is becoming an important part of meeting new legislation introduced in Europe and North America intended to protect the oceans as development rises. Ocean Sonics makes a new class of product that measures ocean sounds and helps provide greater insight into those sounds, introducing you to a better way to listen in the ocean. ”Smart Hydrophones” add a processor & memory to the digital hydrophone. The data now can have meaning, be processed, streamed or logged in the instrument. The Smart Hydrophone has event detectors that report or log whenever a pre-set of conditions occurs. For details refer to www.oceansonics.com. After the Canadian company ASL Environmental Sciences had entrusted us with their exclusive representation, we received a contract covering two “Ice Profilers” for the joint project “Laptev Sea” of GEOMAR and AWI. Ice Profilers are upward-looking sonar devices mounted on the ocean floor to accurately measure and record ice thickness and draft. The instruments are further equipped with sensors for tilt, temperature, and pressure. For details please refer to www.aslenv.com. The exhibition in Bremen was a good opportunity for scientists and industry representatives to meet at our newly conceived booth. New developments were demonstrated and new ideas were exchanged. In the picture you will find (left to right): Francois Leroy (BENTHOS), Don Bryan (AXYS), Stefan Theophile (J.B.), Darius Miller (Sea-Bird), Thorsten Bornhöft (J.B.), Stefan Steinmetz (EIVA), Joachim Bornhöft (J.B.), Brian Dallas (FLOTEC), Paul Devine (RDI), Angela Gellatly, (WET Labs), Joe Borden (ORE), Jochen Klinke (OCEAN SCIENCE), Gabi Müller (J.B.), Allan Steendahl (EIVA), Doug Bennett (Sea-Bird). 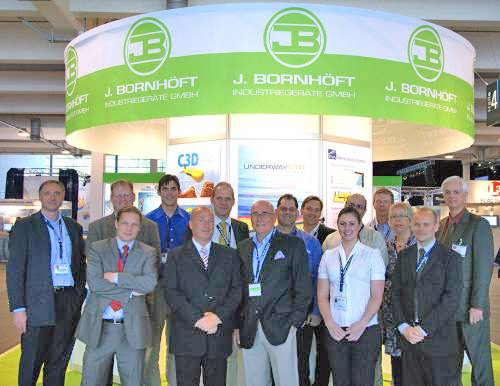 RJE International has been awarded a contract through J. Bornhoeft GmbH to supply twenty-five DLS-2A diver operated sonars to the German Navy for use on mine recovery and subsea salvage. Used by the Explosive Ordnance Disposal (EOD) Divers, the DLS-2A is a non-magnetic diver operated sonar that allows the operator to locate objects as small as a 12 inch cylinder up to 120 yards away. In addition, the DLS-2A has a passive mode that facilitates the recovery of acoustic beacons, similar to the ones used on aircraft “Black Boxes”. Military divers all around the world use the DLS-2A to keep harbors and waterways free of mines. 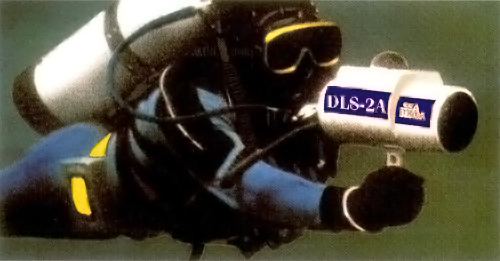 With hundreds in service worldwide, the DLS-2A and DLS-1 trainer sonar are the most commonly used diver sonars in the world. After elaborate trials by the German Bundeswehr Technical Center for Ships and Naval Weapons (WTD 71) in Eckernfoerde, the Army Procurement Center (BWB) in Koblenz placed the purchase order for six Autonomous Underwater Vehicles REMUS 100 for the German Navy with us. These AUVs are manufactured by the American Company HYDROID. Delivery to the Navy will be over the next 12 months. At the same time, operational training of the military personnel will take place in German waters. The easy to handle AUV is equipped with Side-Scan Sonar and various other sensors. It navigates by transponder interrogation and DVL dead reckoning in a pre-programmed grid to 100 m water depth. 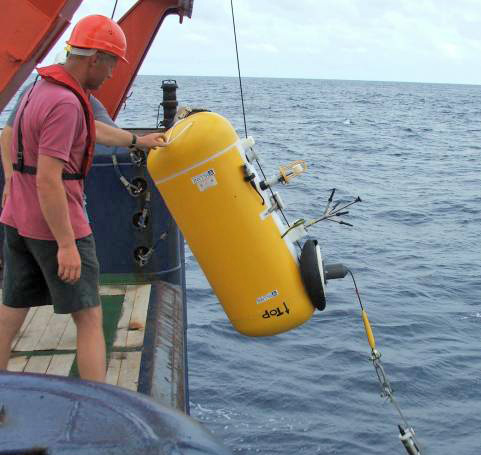 The recordings serve for searching mines, lost objects, debris, wrecks or simply topographic ocean floor mapping for hydrographic and scientific applications. As exclusive representatives of LIQUID ROBOTICS, we would like to draw your attention to a project currently under way: On November 17th, 2011, four “Wave Gliders” were launched on a record breaking journey from San Francisco, across the Pacific Ocean, to Japan and Australia. On their journey, they will build an enormous data set (more than 2.25 million discrete data points) which will be provided free of charge, and in real-time to scientists, educators, students, and the public. The project is named “PacX”. To find out more please turn to the following website: www.liquidr.com. reports about the successful operation of the BENTHOS Deeptow System C3D during a seven week research mission in the central Indian Ocean on board RV Sonne. Purpose of the cruise was the survey of active and inactive hydrothermal fields and the detailed mapping of the geological subbottom at the Midocean Ridge. The system comes originally equipped with side-scan sonar and bathymetry, Doppler velocity log, bottom tracking, inertial navigation system, transponder navigation, and CTD. A sub-bottom profiler was added later. Data transmission operates via an existing tow cable with fiber optics and conversion to Ethernet. The deck unit comprises Triton ISIS software including mosaicing and bottom classification in post processing. The maximum operational depth is 6.000 m.
We were glad to book orders for Teledyne Webb Research comprising 4 SLOCUM Gliders for max. 1000 m water depth, and 2 SLOCUM Gliders for max. 200 m water depth. 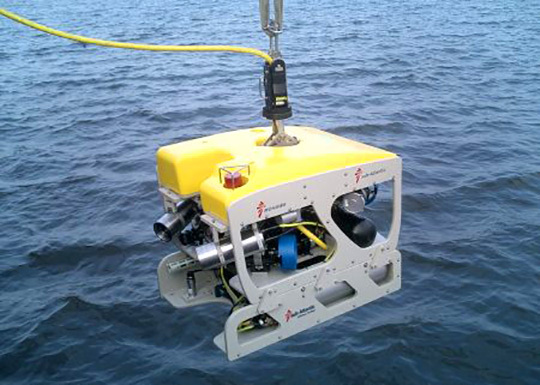 These are autonomously operating, controlled diving measuring platforms. 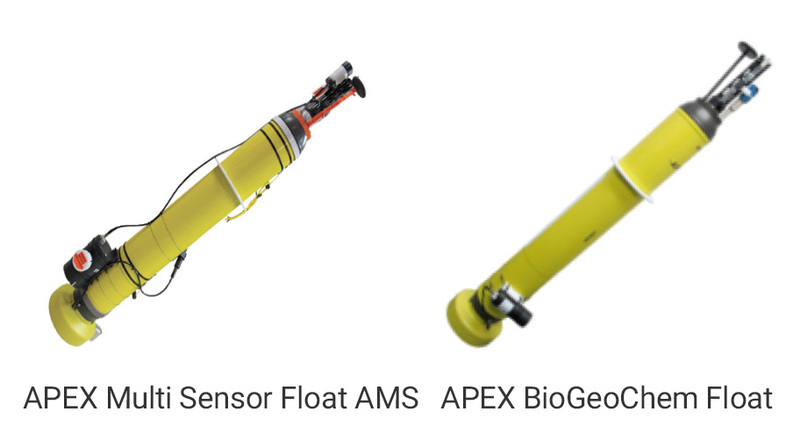 The sensor package comprises a Seabird CTD, an Aanderaa oxygen cell, and a Wetlabs fluorometer. Wireless data transmission is performed by “Iridium Link”. She was quite interested in the “Sailplane of the Oceans” which we had supplied. Also in the picture are Prof. Peter Herzig, Director of the Institute, Peter Harry Carstensen, Prime Minister of Schleswig-Holstein, and Jost de Jager, Science Minister of Schleswig-Holstein. Sidney, British Columbia, Canada, have asked us to look after their interests in our territory. – The robust TRIAXYS Wave Measurement Buoys are in permanent use worldwide, and have dramatically reduced the high maintenance cost of known buoys thanks to solar energy. Measurement intervals for wave height and direction, and other parameters, can be programmed. Data is recorded on internal data logger, processed, and after quality control transmitted via radio, cellular or satellite telemetry. The TRIAXYS sensor unit is comprised of three (3) accelerometers, three (3) rate gyros, a fluxgate compass, the proprietary TRIAXYS Processor and a sea surface temperature sensor. 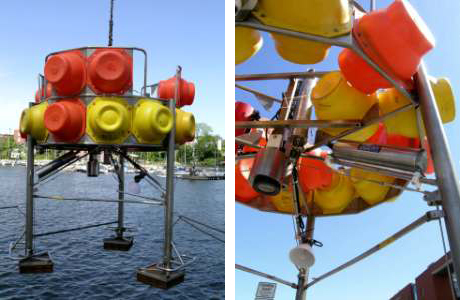 The resolution of the buoy motion in three dimensions (six degrees of freedom), provides more accurate measurements. Ten solar panels and four batteries warrant yearlong uninterrupted operation. At the beginning of 2008, three German institutions successfully started operating new towed BENTHOS Sonar Systems combining wide swath bathymetry, side-scan sonar, and sub-bottom technology. Supplemented by patented sonar imaging, the systems deliver a 3-dimensional look at the seafloor with unprecedented resolution. Whereas the research center FWG chose the Model 1625, the test center WTD 71, and the IfG of the University Kiel both use the Model C3D. All sensors are housed in the same tow body so that they look identical from the outside. Please contact us and/or the website of the manufacturer for technical details. The German Research Foundation (DFG) has placed the order for an Autonomous 6000m Underwater Vehicle (AUV) with HYDROID, the U.S. manufacturer represented by us. 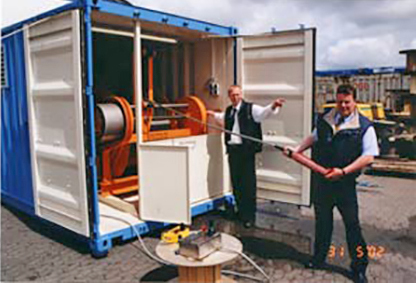 The System was delivered to the Leibniz-Institute for Marine Sciences IFM-GEOMAR, Kiel, in October 2008. The contract worth approx. USD 3.2 Million is the largest single order received in our 30 year company history. The underwater vehicle REMUS 6000 is 3,84 m (12.6 ft) long, has a diameter of 0.71 m (28 in), and weighs 862 kg (1900 lbs) in air. Subject to speed and sensor configuration, the autonomous mission duration can be up to 22 hours. Launch and recovery from a research vessel is accomplished with the aid of a special hydraulic frame (LARS). The instrument package comprises a.o. swath bathymetry, side-scan sonar, sediment profiler, ADCP, CTD, optical sensors, photo cameras, and navigation equipment. The system is stored and transported in two 20 ft containers allowing deployment from various research vessels. The Institute for Hydrobiology and Fisheries Sciences recently accepted delivery of a remotely operated underwater vehicle (ROV) of Sub-Atlantic, Model MOHAWK, for 1000 m water depth. Supplemental to the original Color and B/W Video Cameras of the ROV, we supplied an IMAGENEX Scanning Sonar, an RDI ADCP, a SEA-BIRD CTD, an AANDERAA Oxygen Sensor, and an ORE Tracking System for acoustic positioning, which were integrated in a Survey Skid. Our service company Oktopus added a special, fast Photo Camera System allowing high-resolution biological takes. In view of the many instruments to be connected, fiber-optic telemetry was chosen. The first field deployment in the North Sea was a great success. reports about the deployment of a McLane Moored Profiler MMP in the tropical Atlantic approx. 5°N, 23°W. The sensor platform is the core element of a 4210m deep mooring carrying among others an RDI Long Ranger ADCP and two Sea-Bird MicroCats for reference. The motor driven MMP Profiler is crawling slowly up and down the mooring wire measuring various parameters on its way between 100m and 1000m water depth. After successful trials of the system in the bay of Kiel in spring of 2004, we are delivering the first combined side-scan sonar and bathymetry system model C3D to the German Navy Research Center (FWG) in 2005. The modular design is allowing them to employ this new, patented high-resolution technique on AUVs or towed from research vessels. The topside processor is connected via Ethernet, and there are additional interfaces for optional external sensors. In May 2005 we delivered a 6,000m Digital Photo Camera System to the Leibniz-Institute of Marine Sciences in Kiel. The Camera System, which was designed by Ocean Imaging Systems, has a resolution of 6.1 Megapixel and is completely built from Titanium. It will be used for the first time in June of 2005 during Alkor Cruise 259 on a lander in the North Sea. stands for “Assistance System for Safe Shiphandling”. 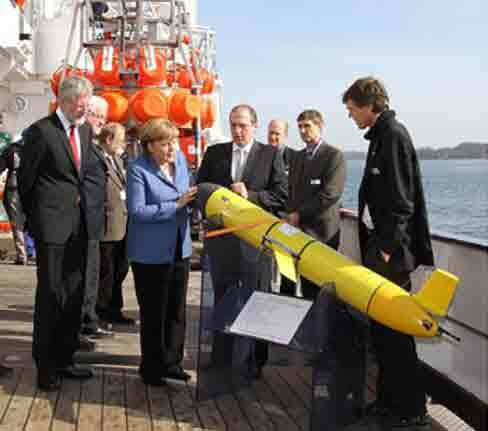 It is a development of the University Rostock, Institute of Automation Technologies, funded by the German Ministry for Research and Technology (BMBF), to monitor environmental parameters like ocean currents and wind influencing the navigation of large vessels in narrow sea corridors and harbor approaches. Target of the development is the avoidance of collisions. The first system was installed at the ferry harbor of Puttgarden in the Baltic Sea. 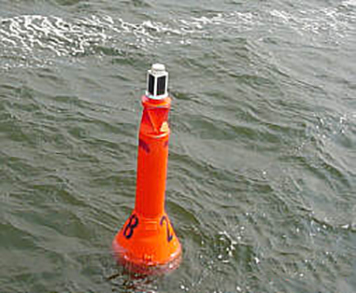 The ocean currents are constantly measured by an RDI Horizontal ADCP 300kHz with a range of approx. 300m. The instrument is mounted on a jetty wall at the entrance of the ferry harbor. During the trial phase, additional measurements were taken by an RDI Vertical ADCP on the remote controlled catamaran MESSIN® which can cover large areas in great detail. 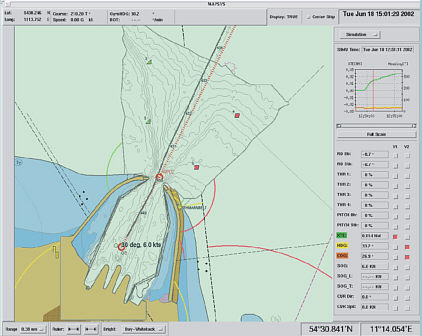 The measured current data is transmitted to the vessels by the AIS transponder system and integrated into the ECDIS system on the bridge of the ferry. (Waterways Authority Stralsund) reports the successful trial of an autonomous Carmanah Solar LED Light Model 702 on a buoy in the fairway Stralsund-Hiddensee (Baltic Sea). Further models are used at the North Sea coast. took delivery of a handling system for a towed sonar fish at MacArtney A/S in Esbjerg, Denmark. The system consists of an electro-hydraulic winch with 1.000 m armored tow cable including coax and fiber optic conductors, slip ring assembly and connectors, all installed in a 20′ container with air-conditioned control room. The towed body will be built by HDW and will serve for submarine sonar equipment testing. reports about the successful operation of a 75 kHz Ocean Surveyor “phased array” Doppler Current Meter System of RD Instruments, San Diego, California, USA. In this vessel mounted system the four acoustic beams are formed by a single flat transducer unit. The small dimensions facilitate hull mounting considerably. The diameter of the 75 kHz transducer is 432 mm, the height only 85 mm. Two switchable methods of signal processing allow the operation of the ADCP either in NarrowBand mode for maximum range or in BroadBand mode for highest possible resolution. 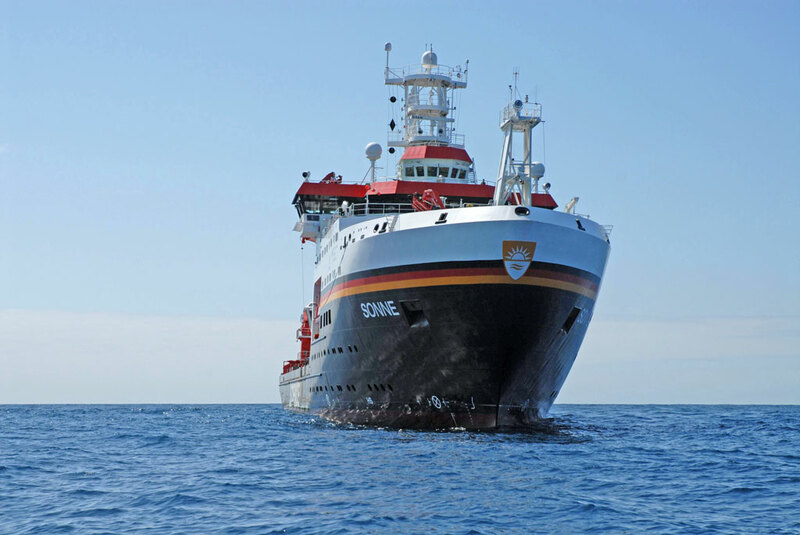 After successful trials of the new concept on the German research vessel SONNE in the Atlantic off Brazil in November 2000 the first system of this kind was installed on the German Research Vessel METEOR in 2001. The moving vessel now measures current profiles over the whole water column to 600 m depth. The larger 38 kHz Ocean Surveyor achieves ranges of more than 1000 m. UPDATE: The newbuilding of the Research Vessel SONNE will also receive ADCP Doppler Current Meters. In July 2012, the Neptun Shipyard Rostock placed an order with us for two each RDI Ocean Surveyors, 75 and 38 kHz, for installation in 2013.